A vast majority of Native American youth living on reservations today are overwhelmed with extreme daily challenges. These include high rates of poverty, addiction, abuse, and suicide. Our young people are being faced with seemingly insurmountable issues that make it almost impossible to dream and plan for a brighter future. Simply put, they need hope. They need us coming alongside them, giving them a platform for their voices to be heard. Part of our mission in reaching Native youth is to tell stories of people just like them—stories of Native American individuals overcoming the obstacles, embracing their culture and identity, and achieving their dreams. 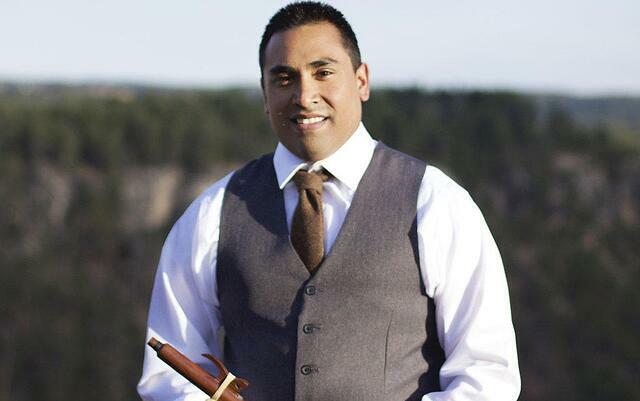 Darren Thompson, from the Lac du Flambeau Ojibwe Indian Reservation in northern Wisconsin, is passionate about his culture and seeing his people empowered to live out their dreams with purpose and fulfillment. This all-consuming passion began while he was an undergraduate at Marquette University in Milwaukee, Wisconsin. Darren relates that he had a “burning curiosity” for this nearly lost instrument that was part of his cultural history. He has since shared the stage with many award-winning musicians and artists, his talents giving him the inspiration to thrive as an artist. Darren shares our vision at Native Hope that when you give a voice to the voiceless and allow their story to be heard, “it empowers them to be themselves and express themselves.” He continues by saying, “As a people, we know that we have a very rich and very beautiful history and that it has been very rarely shared. And if it has been shared, it has often been shared in the wrong narrative.” At Native Hope, we believe it’s time to change the narrative. Join us we strive to equip a generation of Native American youth to pursue a bright future and see their culture thrive.